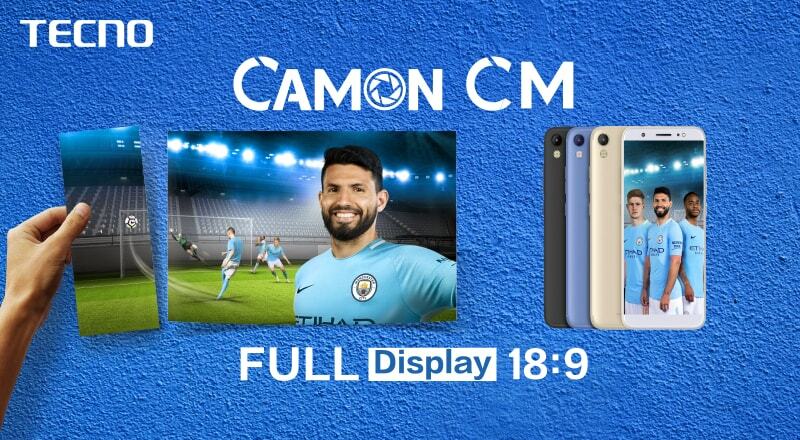 Tecno Camon CM has been launched, the new device stands as the first from Tecno Mobile to feature the 18:9 aspect ratio. Regular smartphones come with 16:9 screen ratio, which means significant side, top, and bottom bezels. But with the 18:9 ratio, you will get a larger display on a smaller body. The Camon CM boasts a slim and elegant body design with its total thickness measuring at about 7.75 mm. The device built on the MediaTek MT6737 chipset, the processor clocks at 1.3 GHz. The Camon CM sports a 2GB RAM which is enough to give you a lag-free multi-tasking experience, there might also be 3GB RAM version of the device, but that is yet to be confirmed. Tecno Camon CM runs the Android 7.0 Nougat out of the box with HiOS 2.0 from TECNO Mobile on top, the HiOS is highly customized the Android operating system with more optimized and sleeker user interface. It comes with 13MP front and 13MP rear camera.